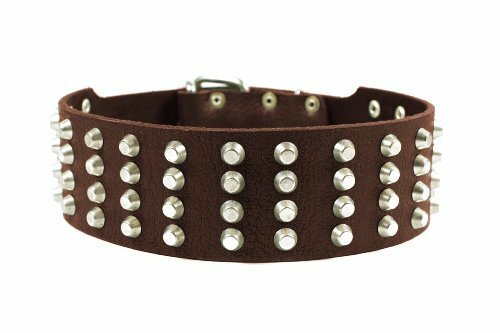 Our 4 rows studs dog collars are made of high quality leather with four rows of nickel-plated studs. Width: 2 1/4-inch. Available in black and brown.